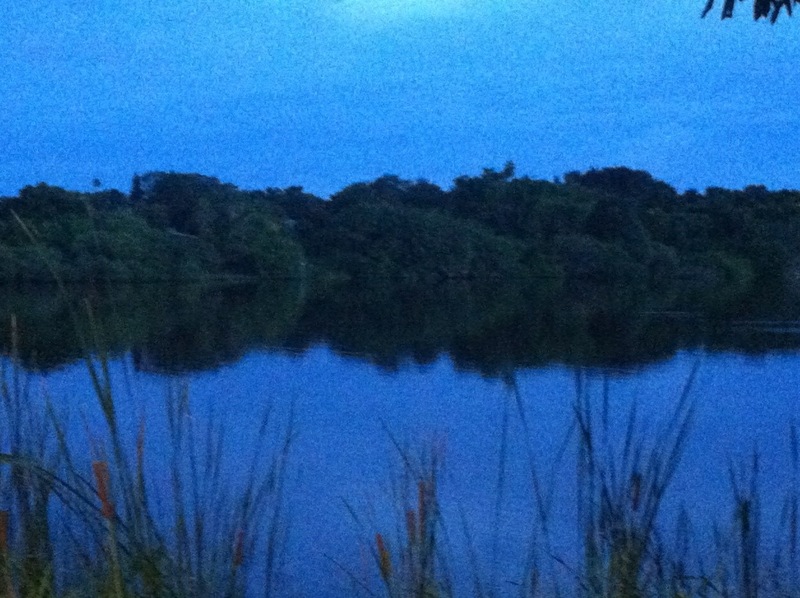 August | 2013 | Every good thing…. Went out for a week long sail earlier this month. 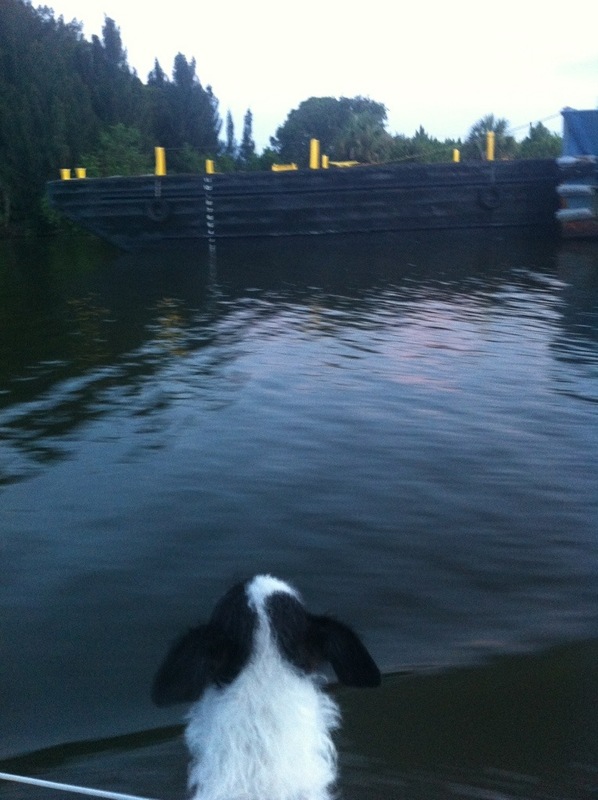 Here are a few pictures of Charlie our boat mascot. During our trip we started to see evidence of wear and tear on the boat from use coupled with old age. This is actually much more welcome than our previous failures that were due to neglect and old age. 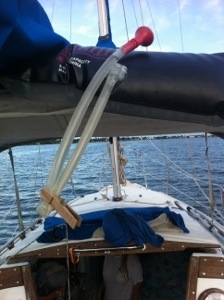 We had the sacrificial cover on our furling jib part from the sail. Also the jib halyard started to part and fray requiring us to cut a few feet off the end. Looks like the next year or so will see us replacing the running rigging. 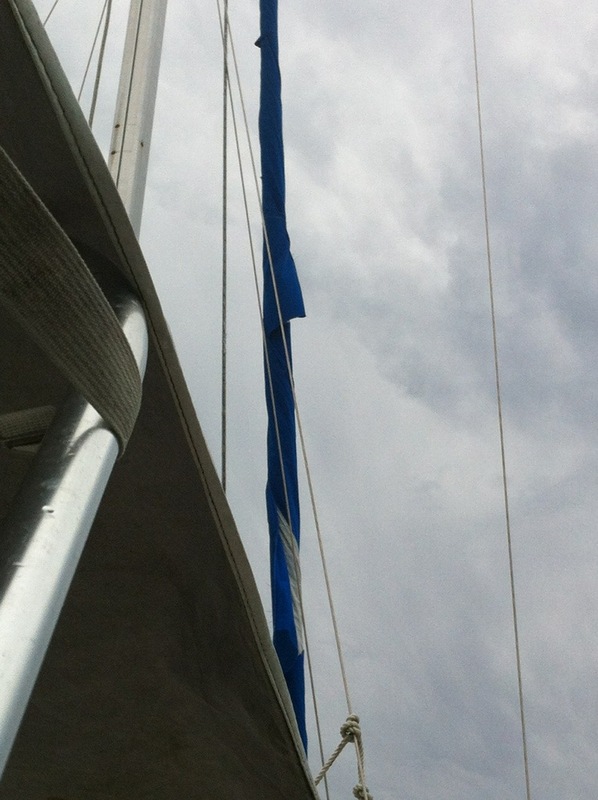 We took down the furling jib and brought it for repairs at “Sails by Morgan” over in Cocoa. He did an outstanding job with the repairs and also made some improvements in the original sail. It can be safely said the sail is in the best shape it has ever been in. Before we departed on out trip I reseated all the windows on the boat. Now when initially opening that hatch after an absence it feels much dryer, not like opening a steam bath. 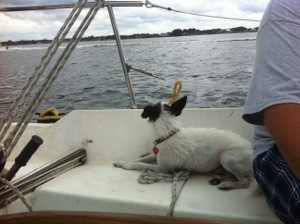 I cleaned out the bilge and hope to find it still dry this weekend, if not I have more leaks to chase. We did not take as many as we should have. Here are a few. 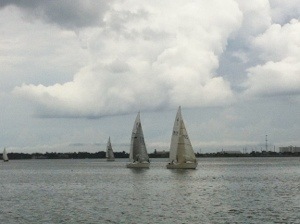 Small boat regatta Melbourne. I was able to witness some folks sculling their sailboat out of the harbor just using the main sail and walking port to starboard and back again. They made about a knot but it seemed like a lot of work. 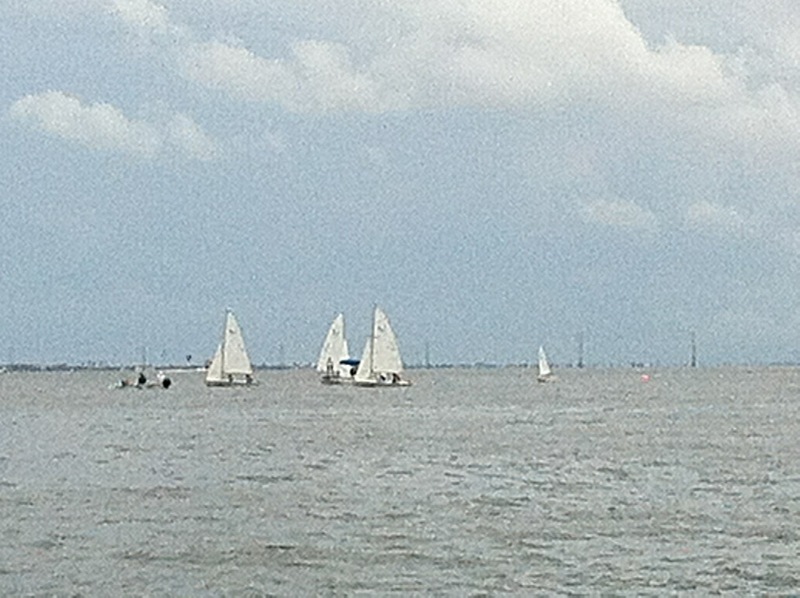 Some boats we saw as we sailed. 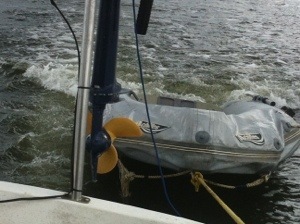 Our partially deflated dinghy under tow. You can see its 2hp outboard on the rail. 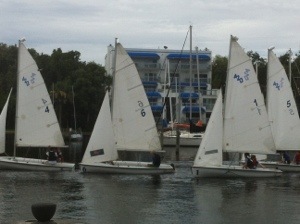 A group of children (9-10 year olds) taking sailing lessons. Our shower in a bag, a luxury. 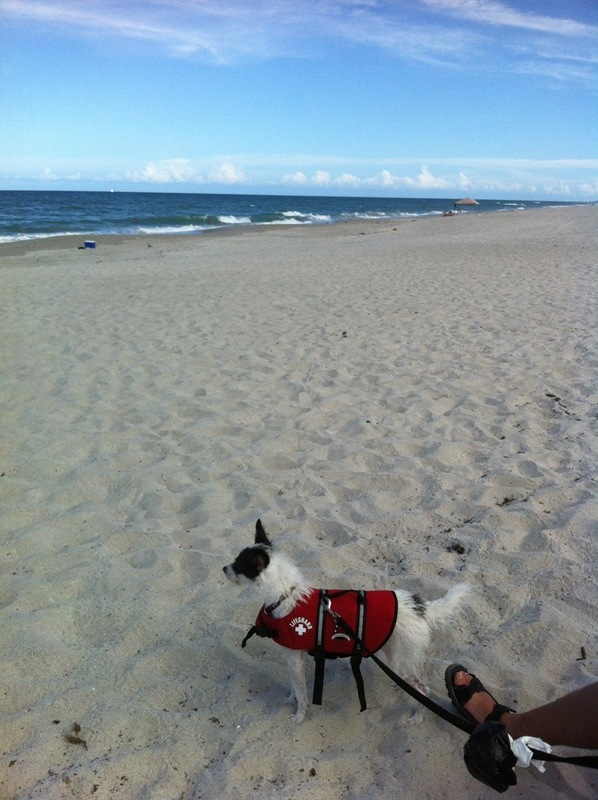 Charlie on Melbourne beach. No dogs allowed. 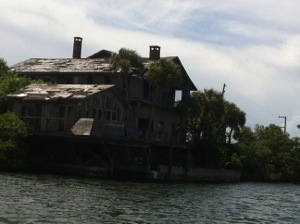 Old abandoned house we anchored off of at the dragons tail. Sadly we are out of vacation for this year. 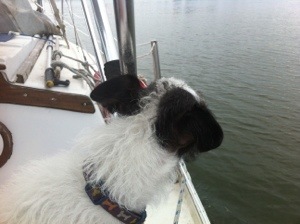 Hopefully next year will see us in the Keyes or further north to South Carolina. Time will tell.